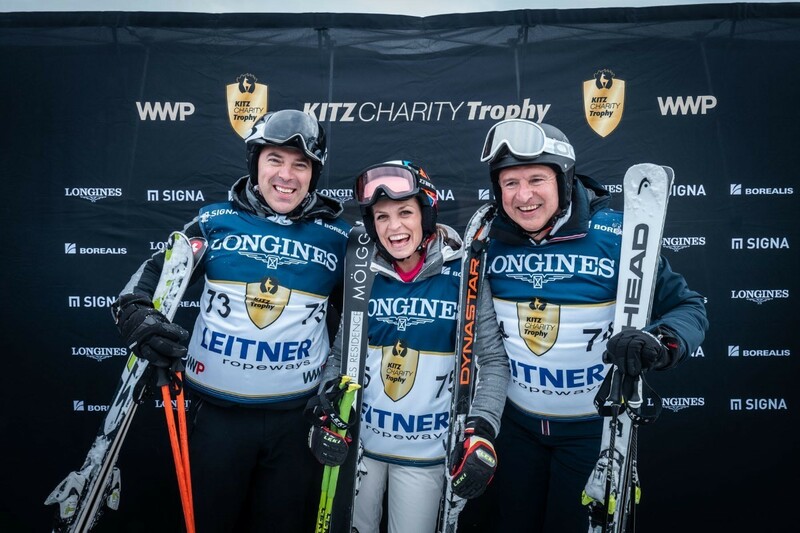 After a thrilling Slalom race, the next highlight was not far off: The Kitz-Charity-Trophy. 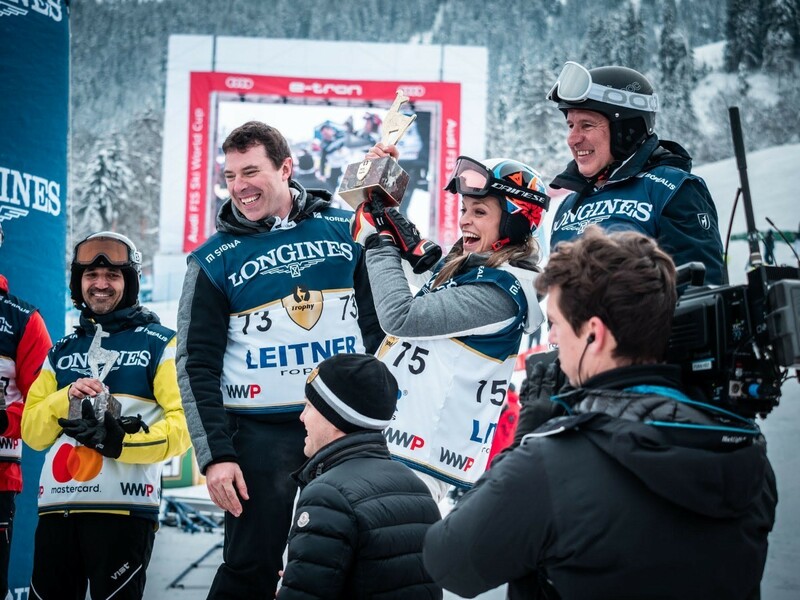 As soon as the last racer had swerved into the finish area and the last interviews had been wrapped up, preparations for another exciting event began. 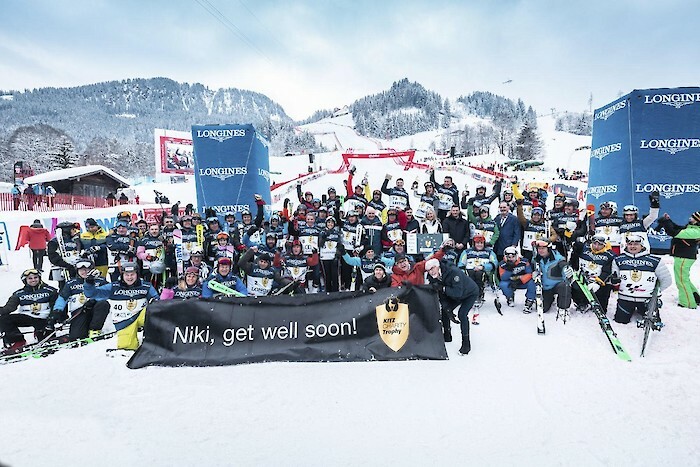 It was a charity race, which aimed to raise as much money as possible for South and North Tyrolean mountain farmers in need. 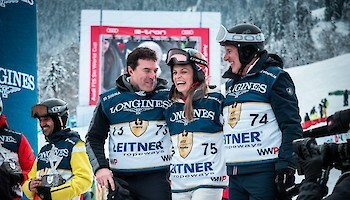 The winning team of this year’s Kitz-Charity-Trophy was Team Leitner, with Seeber, Martin Leitner and Manuela Mölgg. 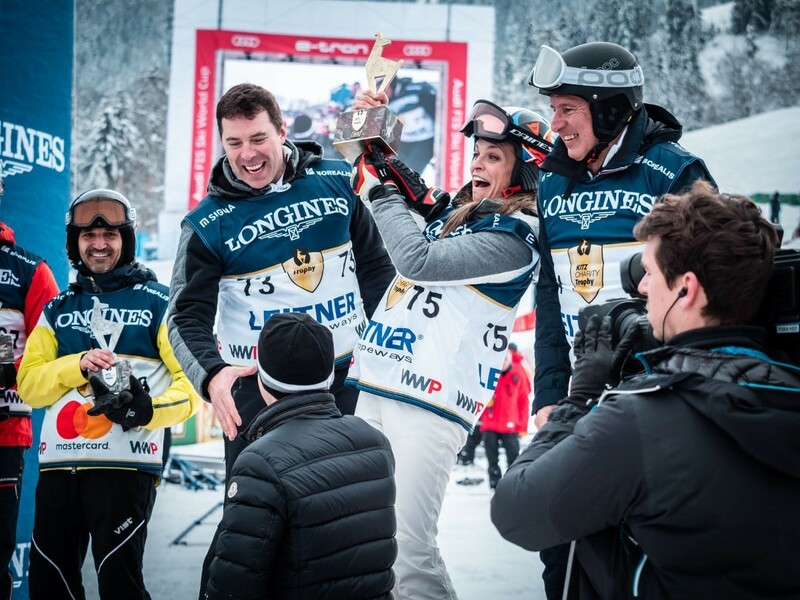 Team Mastercard 2 (Benjamin Raich, Catalin Munteanu and Caric Slavko) landed in second place, while Team Eyetime 1 with Krizaj Bojan, Perez Javier and Sadil Jan came third. 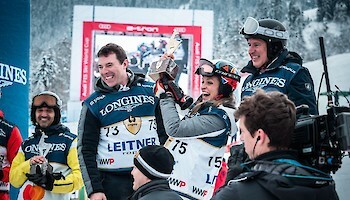 Apart from former ski racers, such as Stephan Eberharter, Rainer Schönfelder and Didier Cuche, other celebrities like Arno Schuchter, Silvia Schneider and Fabiana Ecclestone, Bernie Ecclestone’s wife, proved their capability on the slope. 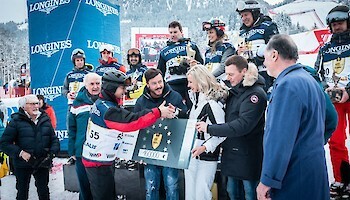 Bernie Ecclestone manned the finish line, but also functioned as Race Director, making sure that rules were respected. 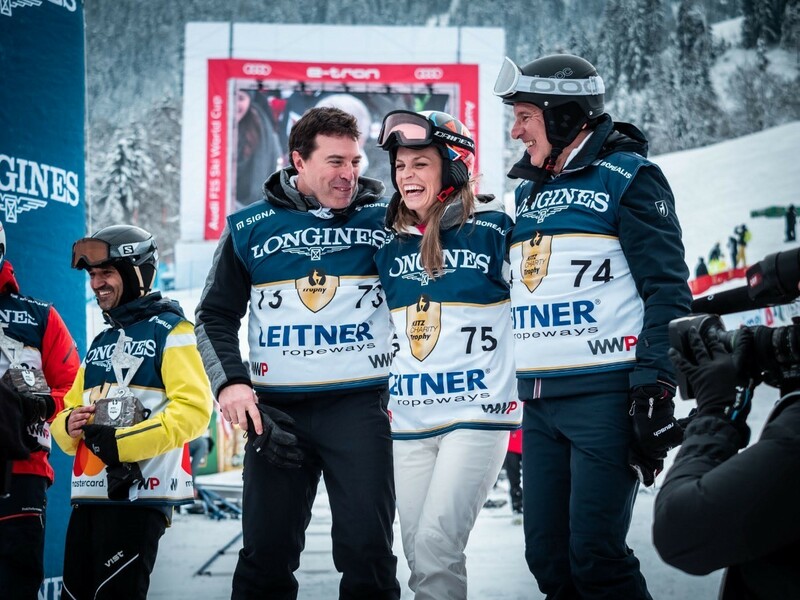 The WWP Agency (Weirather-Wenzel & Partner) has been the initiator and organiser of the event since it’s conception. 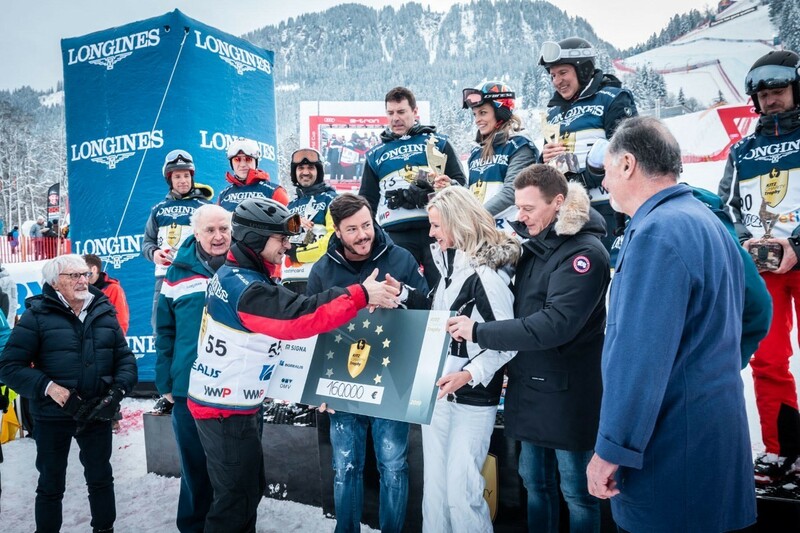 In total, around 160,000 € were raised.